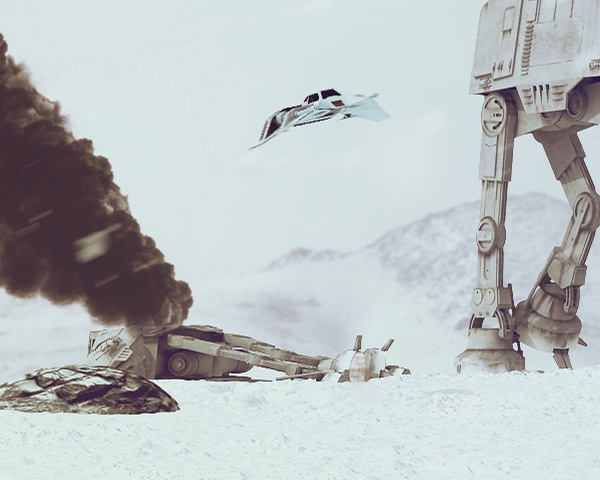 Another scene based on Star Wars. I make no excuses, as someone who loves the movies it’s such a pleasure for me to be able to make art based on the scenes, events and characters from them (particularly the original trilogy). Click HERE to see a high-res image. 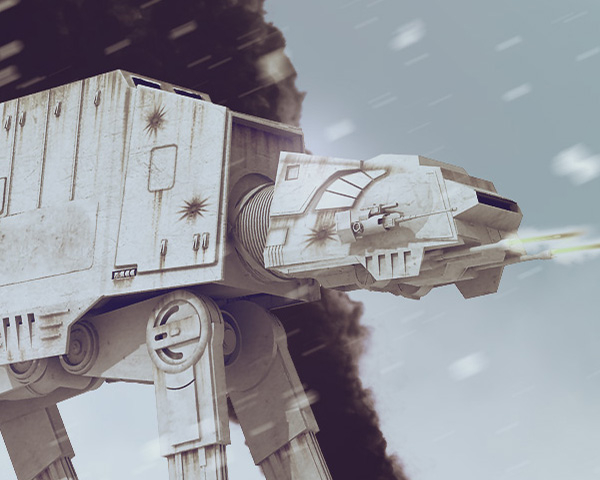 I started off modeling the AT-AT (All Terrain Armored Transport) walker, and then decided to create a battle scene on the ice planet Hoth, which forms the opening sequence to The Empire Strikes Back. The snow in the foreground is a combination of modeled plane and displacement map. 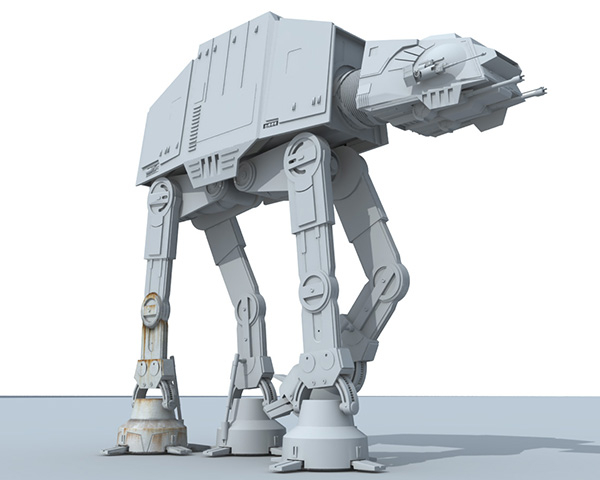 I opted for a displacement map as I wanted the snow to bunch up around the heavy feet of the walker, and modeling that would have been too finicky. 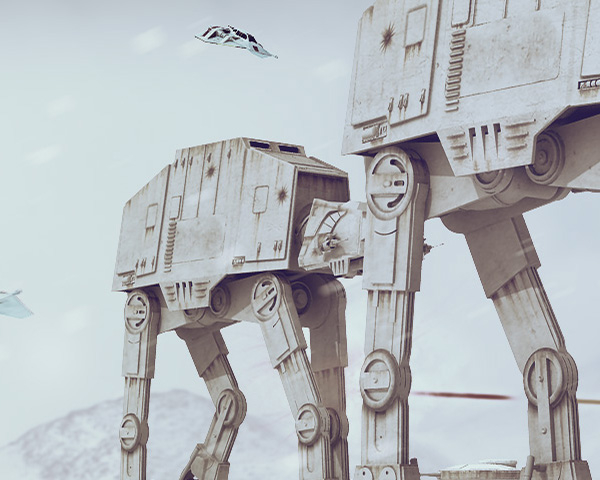 The snow speeders and rebel cannons are low poly since they are either seen in the background or with some motion blur applied. 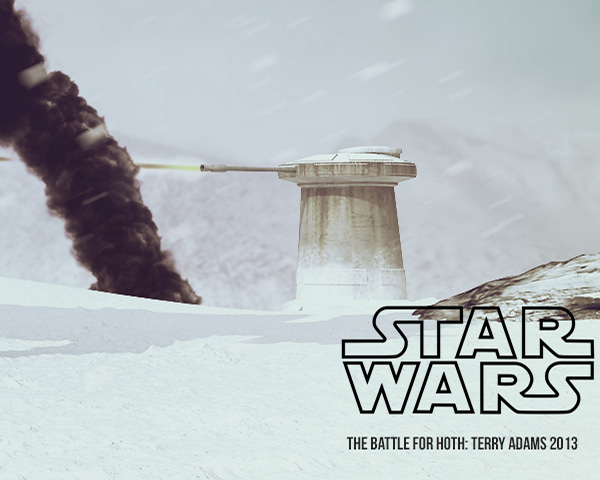 The backdrop is a matte painting I composited from about 5 different images, and the driven snow as well as various smoke plumes, laser photons and glow effects are all painted in Photoshop post-render.